National Running Day Giveaway: Three KT Tape Rolls! You know we love to do a giveaway or two a week, so, here’s an awesome one!!! If you’re not following this blog, make sure you do so you don’t miss out on this stuff. 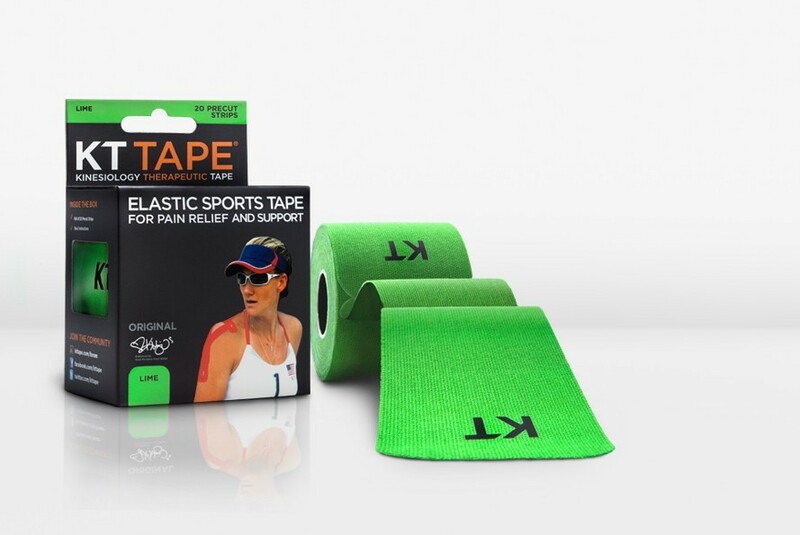 This time, KT Tape wants to ship three winners a free roll of KT TAPE, how cool is thaaaat? Need support that will endure multiple lighter workouts? Then original KT TAPE is for you. It provides targeted pain relief and will stay in place through multiple workouts for up to 3 days, through daily showers, humidity, cold, even in the pool. Each box comes with 20 precut strips of tape on a roll and a quick start guide with step-by-step instructions for the most common injuries. All you have to do to enter for a chance to win ONE of the THREE rolls is just comment below with your pick of color. To choose a color, visit the KT Tape page for a list. We’ll pick THREE winners randomly on National Running Day, next Wednesday June 3rd, at noon. One thing: if you don’t live in the US, we’ll ship it to a friend of yours in the US to hold it for you, ok? ← 2015 Brooklyn Half Race Report. Where do I even start? Pink and green are my two “go twos”! Rarely race without something taped in KT! Pink! With Purple as a strong second. Winner Green or Rage Red! Lime because it reminds me of the green grass and my seasonal allergies that hit me during spring running. I’d would choose the pink color for my wife! Black holds the best for me, followed by navy blue since it’s the only one I haven’t tried. Red and black baby! Kt tape is the only tape for me… Awesome piece of technology! Pink!!! It will match my running outfits perfectly! Love LIME GREEN…AND ROYAL BLUE! Don’t run without it! !